Today is the first day of school for our three kiddos... 4th grade, 2nd grade and 1st grade. One more year with all three in the elementary school! 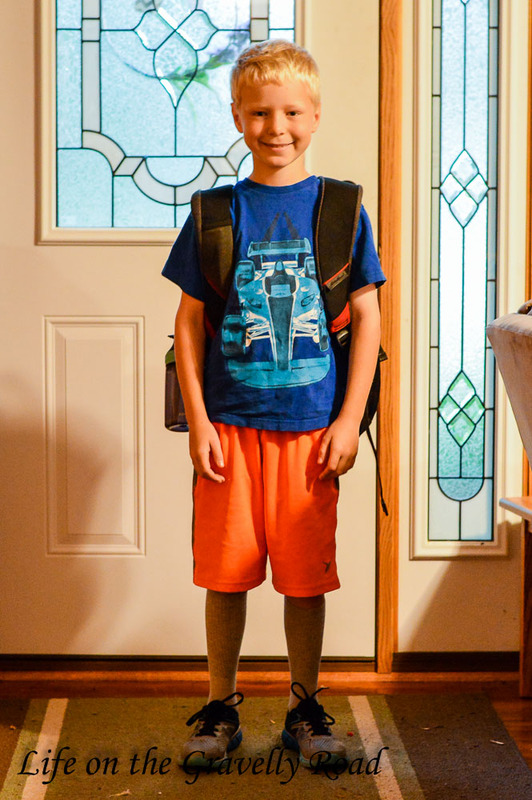 Ike starts fourth grade today. 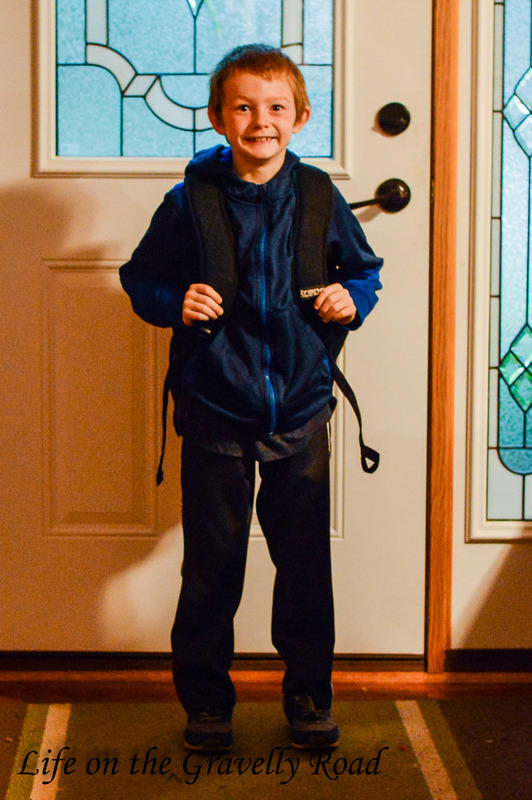 He is excited to seeing his friends, especially since his two closest friends are both in his class this year. This is his last year of elementary school which is hard for this mama's heart. I'm looking forward to see how God uses his 4th grade year to grow and challenge him. Zman is starting 2nd grade today. 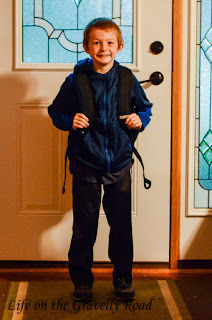 He was less excited this morning than he had been the last few days counting down to school, but I think that the dark and dreary day had to do with it. He was really excited about his teacher this year and to see his friends. I have a feeling God has some big things in store for him in 2nd grade and I can't wait to see him soar. 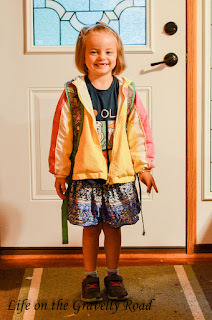 Peaches starts 1st grade today. When I woke her up this morning, she immediately sat up and fist pumped the air say "yay the first day of 1st grade!". She has been counting down to the first day for several weeks and is beyond excited. I can't wait to see all she learns and grows in first grade. I'm looking forward to hearing all about their first days when they return home to the gravelly road. We ask for an extra special blessing on the school year adventure ahead of each of our three children. Each adventure is unique and will be used fore your purposes in their lie, though all three start a new phase today. Guide their teachers as they give instruction, encouragement, and build the town of their classrooms. Grand them wisdom for those moments when a child's tears or frustrated words are coming from a deeper hard place than just a tough morning. May their classrooms be places of learning and inclusion, a safe place to try, fail and try again. Watch over our three as they start and strengthen friendships, handle challenges, try new hard things, work through conflict and learn the life lessons you have for them. Guide their words and actions so that they are kind and compassionate to those around them. Surround them with friends that bring out their best so that they can build each other up. Help them to be part of the good and amazing things you are doing in their school. Thank you again and again for allowing us to parent these precious kiddos. They are each growing and changing so fast it often takes my breath away. Continue to grow them into the people you called them to be and help me to help them see how you are working in their lives.